The world is going Bitcoin bonkers and so are we! Welcome to the Bitcoin Lotto, where you can play for the world’s first Bitcoin jackpot – exclusive to Lottoland! Be part of this exciting phenomenon that is taking over the world! Match 6 numbers and we’ll pay a huge jackpot, starting at 1000 BTC*, direct to your Bitcoin wallet. Alternatively, just take the cash equivalent – it’s your choice! *The jackpot value is subject to BTC / EUR exchange rate fluctuations. This incredible Bitcoin jackpot is the first of its kind and you won’t find anything like it anywhere else. 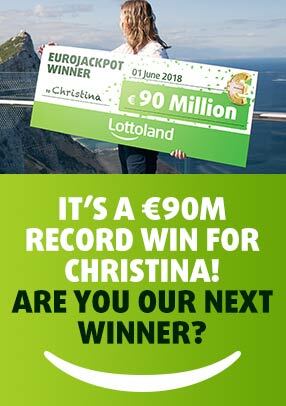 Furthermore, Lottoland will be increasing the Bitcoin jackpot from time to time, so you can continually play for bigger and bolder Bitcoin bonanzas. Don’t forget, there are plenty of additional prizes too – just match two or more numbers and you’ll be one of our lucky winners. Bitcoin’s value has surged massively! As the value of Bitcoin goes up, so does the value of the jackpot. That means higher winnings and more profit!